A Cheerful Giver Almond Butter Pound Cake 22 oz. Mama Jar Candle with primitive black lid and homespun ribbon. 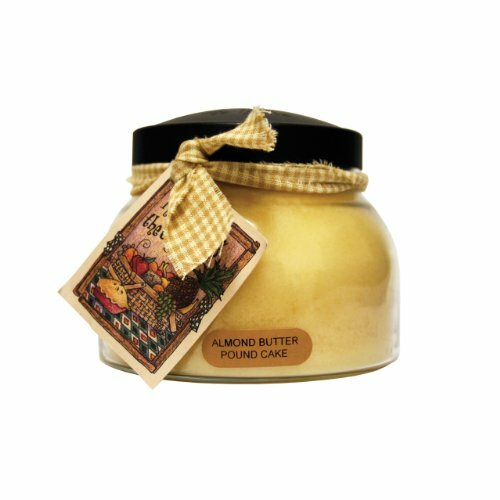 Fragrance consists of a scrumptious aroma of fresh baked pound cake topped with buttery almonds. Holds 22 ounces. Burn time is 125 hours.